1. Echinoderms belong to the Phylum Echinodermata, meaning “hedgehog skin”. Echinoderms have spiny skins.They have radial symmetry. They lack body segmentation.2. There are more than 5000 species of Echinoderms. Types are sea stars, sea urchins, sea cucumbers, sand dollars. 2. Starfish belong to a group of animals called ‘Echinoderms’ which means spiny skinned (echino- spiny and derm-skin). Their body is covered in plates. These plates can be large or small, soft or spiky. 3. 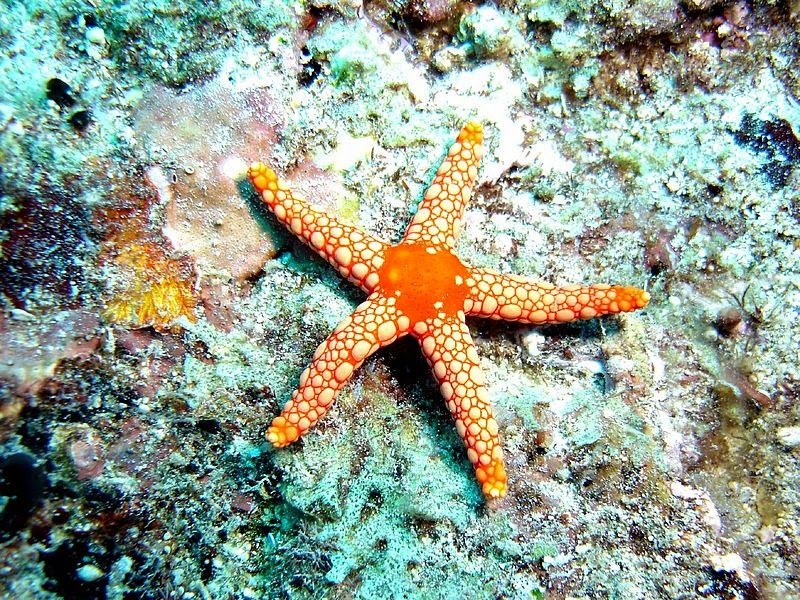 Have radial symmetry.Most starfish have 5 “arms”or rays. Starfish have tube feet for locomotion, and strong suction to hold them in place. 4. They also have a water vascular system that enables them to store water in their tube feet so they can survive while the tide is out. 5. They breathe through small gills in their skin. Their mouths are located on the underside of their bodies. Starfish can regenerate. (must have the central disc attached). Sea Stars are carnivorous, yup, they eat mostly shellfish, snails, and barnacles. 6. There are lots of different types of Sea Stars, about 2000 different kinds. Most Sea Stars have spiny skin. 7. Starfish have a flattened body with 5 or more arms extending from a central disc. They have no bones, no heart, no brain and no eyes. Their mouth is under their body and their bottom is on top. Beneath each arm, starfish have rows of up to 200 ‘tube feet’. To move starfish pump water in and out of their feet. Feet come in different shapes and each shape is suited to where the starfish lives. 8. To cling tightly to rocks reef starfish have suckers on the end of their feet. Sand starfish have pointed feet to help them dig. 9. To eat mussels and oysters, starfish use their tube feet to open the shells. They then push their stomach out of their body, into the shell and onto their food. Once it has soaked up its food the starfish pulls its stomach back in! 10. Starfish can grow to less than a centimeter in size or to over 1m! They can be found in shallow water or the deep sea and on rocks, reefs, mud or sand. 11. Starfish have amazing powers of regeneration. If they lose an arm, they will re-grow it! Some can even re-grow a whole new body from a single arm. 12. They dont have bones and they are NOT fish, they are Echinoderms: spiny-skinned invertebrates that live on the ocean floor. Other echinoderms are the sea cucumbers and the sea urchin. 13. Starfish are carnivores, they eat clams, oysters, coral and mussels. It grasps the tightly closed shell of the oyster with the tube-feet on its arms and tugs and pulls until it has opened a small crack in the shell. Then it sticks its stomach out through its mouth and gets it into its prey’s shell. The soft body of the mollusc is digested and the starfish then pulls its stomach back to its body. While it is eating it often gives off a special poison that drives away the other starfish so that they don’t take its food. 14. Starfish move very slowly along the sea floor using hundreds of tiny tube-feet, that are like little tubes with a circle at the end, that help it to walk and climb; if a wave moves the starfish it will hold onto a rock with its tube feet. If a starfish loses one arm it will grow again easily. 15. Starfish do not have true brains. They have a cluster of nerves called ganglia that form a ring in the centre of the starfish. 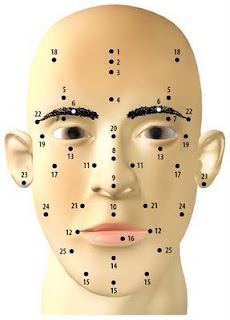 With the exception of eye spots in the tip of each arm there are no specialised sense organs (such as eyes or ears). These eyespots sense light and smell. Did you know that you can shorten your long urls with AdFly and make money for every click on your short urls.